If you’re in the market for a company to help you make the switch to solar, you’ll be faced with the decision of going with a local company, or a corporate “big box” solar company. While many potential solar customers are quick to hire the services of a large corporation, you may be losing out on the advantages that are unique to hiring a local business. Although we are partnered with SunPower, we here at Alternative Energy Systems, Inc. are still locally-owned and operated. So often, when individuals seek help from a larger corporation, they’re given the runaround by a number of assistants, receptionists, and associates. At Alternative Energy Systems, Inc., you will be speaking directly to our team in our local office. As with any locally owned business, we don’t see our customers as just another “number.” Our team approaches every project with one goal in mind – a satisfied customer. We pride ourselves in being hands on with every job we do, because we know each job leads to the next project. Customers who come to us can be confident that our team has the ability to customize any project, regardless of how obscure it may be. As a local company, AES supports local workers. We love seeing first-hand how our services benefit and help our community grow. Our staff buys local goods, pays local taxes, and because of this, we feel a sense of community accountability. 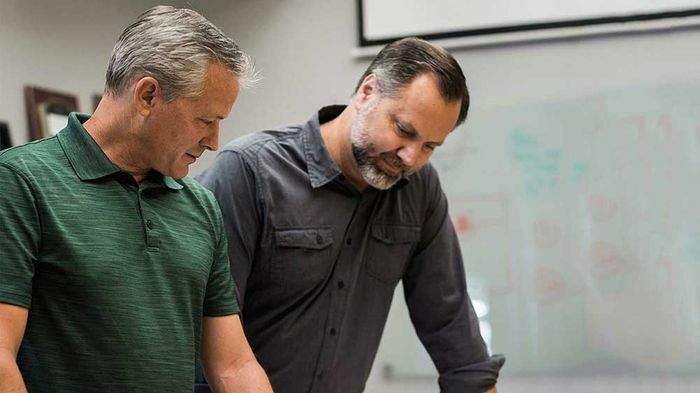 Owners Lance McClung and Tim Hamor are hands on and work alongside everyone at Alternative Energy Systems, Inc. Our partnership with SunPower allows us to deliver high-quality services throughout the local community. Our North Valley solar installation team proudly serves homeowners and business owners throughout Sacramento, Yuba City, Chico, and Redding. Don’t take the first step towards solar alone. Contact Alternative Energy Systems today at (855) 419-1488 to learn how we can help.